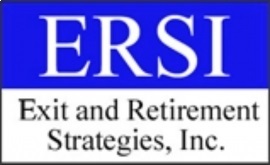 Business Succession & Exit Planning | Exit & Retirement Strategies, Inc.
Ready to hear a reality check about Succession & Exit planning from other business owners? Only about 1 of 6 US business owners have a written succession plan in place if they should die or become disabled. Half of all business owners expect to sell their businesses to an outside buyer when the time is right. But at any given time, 20% of privately owned businesses are for sale, and only 1 in 4 will actually be sold. Here’s what is important about these stats*. When we ask owners when they see a major transition in the ownership of their businesses, most of them reply, "Five years". But many owners we talk to have been saying "five years" for many years (we call that "Perma-Five"). Meanwhile the statistics imply that with every passing year the market for business sales will become more and more crowded, making Business Succession & Exit planning more difficult. What’s the value of my company today? How can I increase its value? How can I prepare for acquisition? How can I manage risks - loss of shareholders, key people, financial resources, intellectual assets, customers? How do I avoid my Key Employees being hired away by a competitor? We have helped dozens of owners understand and identify the appropriate Exit Planning strategies to meet their particular goals. We can help you, too. Give us a call at 866-370-3774 today and ask about our Road Map planning process.